WikiLeaks (/ˈwɪkiliːks/) is an international non-profit organisation that publishes news leaks, and classified media provided by anonymous sources. Its website, initiated in 2006 in Iceland by the organisation Sunshine Press, claims a database of 10 million documents in 10 years since its launch. 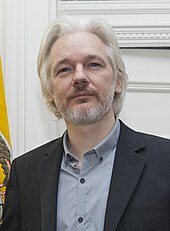 Julian Assange, an Australian Internet activist, is generally described as its founder and director. Since September 2018, Kristinn Hrafnsson has served as its editor-in-chief. On 22 July 2016, WikiLeaks released approximately 20,000 emails and 8,000 files sent from or received by Democratic National Committee (DNC) personnel. Some of the emails contained personal information of donors, including home addresses and Social Security numbers. Other emails appeared to criticise Bernie Sanders and showed apparent favouritism and corruption favoring Clinton in the primaries. WikiLeaks has popularized conspiracies about the Democratic Party and Hillary Clinton, such as tweeting articles which suggested Clinton campaign chairman John Podesta engaged in satanic rituals, implying that the Democratic Party had Seth Rich killed, suggesting that Clinton wore earpieces to debates and interviews, claiming that Hillary Clinton wanted to drone strike Assange, promoting conspiracy theories about Clinton's health, and promoting a conspiracy theory from a Donald Trump–related Internet community tying the Clinton campaign to child kidnapper Laura Silsby. 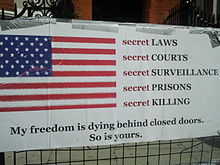 Short of simply disclosing information in the public interest, WikiLeaks has been accused[by whom?] of purposely targeting certain states and people, and presenting its disclosures in misleading and conspiratorial ways to harm those people. 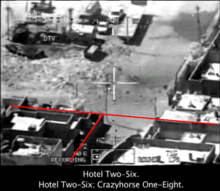 Writing in 2012, Foreign Policy's Joshua Keating stated that "nearly all its major operations have targeted the U.S. government or American corporations." In a 2017 speech addressing the Center for Strategic and International Studies, CIA Director Mike Pompeo referred to WikiLeaks as "a non-state hostile intelligence service" and described founder Julian Assange as a narcissist, fraud, and coward. In an Election Day statement, Assange criticized both Clinton and Trump, saying that "The Democratic and Republican candidates have both expressed hostility towards whistleblowers." In conversations that were leaked in February 2018, WikiLeaks expressed a preference for a Republican victory in the 2016 election. Having released information that exposed the inner working of a broad range of organisations and politicians, WikiLeaks started by 2016 to focus almost exclusively on Democratic presidential candidate Hillary Clinton. In the 2016 US presidential election, WikiLeaks only exposed material damaging to the Democratic National Committee and Hillary Clinton. WikiLeaks even rejected the opportunity to publish unrelated leaks, because it dedicated all its resources to Hillary Clinton and the Democratic Party. According to The New York Times, WikiLeaks timed one of its large leaks so that it would happen on the eve of the Democratic Convention. The Washington Post noted that the leaks came at an important sensitive moment in the Clinton campaign, as she was preparing to announce her vice-presidential pick and unite the party behind her. The Sunlight Foundation, an organisation that advocates for open government, said that such actions meant that WikiLeaks was no longer striving to be transparent but rather sought to achieve political goals. In the wake of the Charlie Hebdo shooting in 2015, the WikiLeaks Twitter account wrote that "the Jewish pro-censorship lobby legitimized attacks", referring to the trial of Maurice Sinet. In July 2016, the same account suggested that triple parentheses, or (((echoes))) – a tool used by neo-Nazis to identify Jews on Twitter, appropriated by several Jews online out of solidarity – had been used as a way for "establishment climbers" to identify one another. 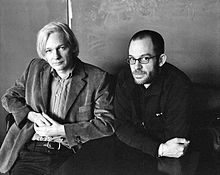 In leaked internal conversations, Assange discussed an article critical of WikiLeaks by Associated Press reporter Raphael Satter. He went on call the journalist "a rat", adding "but he's Jewish" and encouraged others to troll him. Several Republicans who had once been highly critical of WikiLeaks and Julian Assange began to speak fondly of him after WikiLeaks published the DNC leaks and started to regularly criticise Hillary Clinton and the Democratic Party. Having called WikiLeaks "disgraceful" in 2010, President-Elect Donald Trump praised WikiLeaks in October 2016, saying, "I love WikiLeaks." Newt Gingrich, who called for Assange to be "treated as an enemy combatant" in 2010, praised him as a "down to Earth, straight forward interviewee" in 2017. Sean Hannity, who had in 2010 said that Assange waged a "war" on the United States, praised him in 2016 for showing "how corrupt, dishonest and phony our government is". Sarah Palin, who had in 2010 described Assange as an "anti-American operative with blood on his hands", praised Assange in 2017. Ann Coulter called for Assange to be awarded the Presidential Medal of Freedom. ^ a b c d e f g h Ioffe, Julia. "The Secret Correspondence Between Donald Trump Jr. and WikiLeaks". The Atlantic. Retrieved 13 November 2017. ^ Seitz-Wald, Alex (2016-08-10). "WikiLeaks Fuels Conspiracy Theories About DNC Staffer's Death". NBC News. Retrieved 2019-04-14. ^ a b c Chait, Jonathan. "Donald Trump, Julian Assange, and the Control of the Republican Mind". Daily Intelligencer. Retrieved 6 January 2017. ^ Perez, Evan (2017-04-20). "US prepares charges to seek Julian Assange's arrest – CNNPolitics". Cnn.com. Retrieved 2019-01-28. ^ "Official (inactive) Web site, for OpenLeaks". OpenLeaks. 14 December 2018. Archived from the original on 14 December 2018. Retrieved 14 December 2018. ^ Brooks, Xan (March 2, 2011). "DreamWorks lines up WikiLeaks film based on Guardian book". The Guardian. London. Retrieved March 29, 2013.